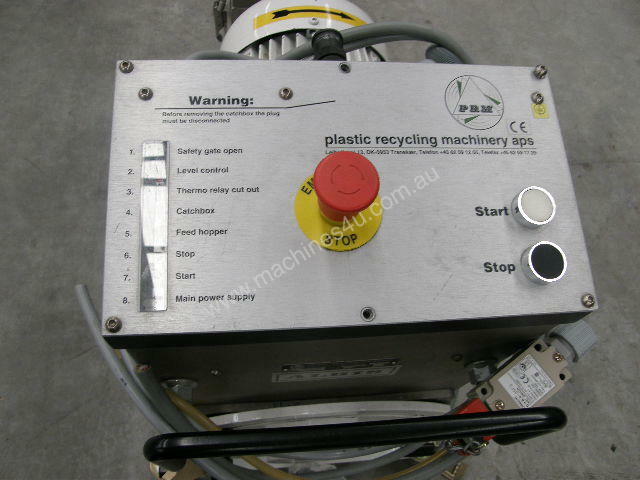 Plastics granulator has 150mm diameter screw auger infeed. 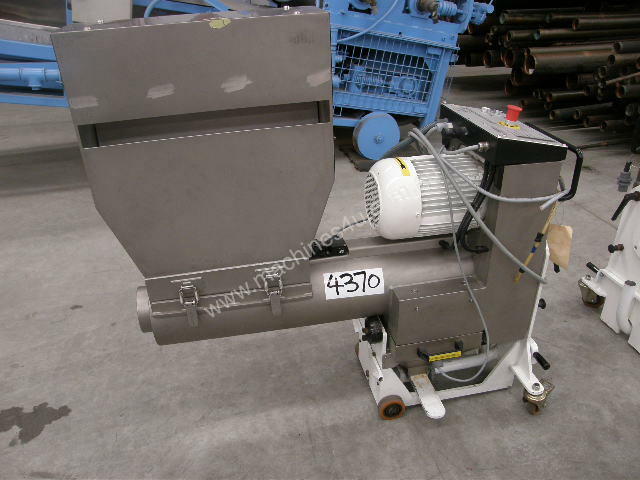 Granulator is mounted on lockable castor wheels. 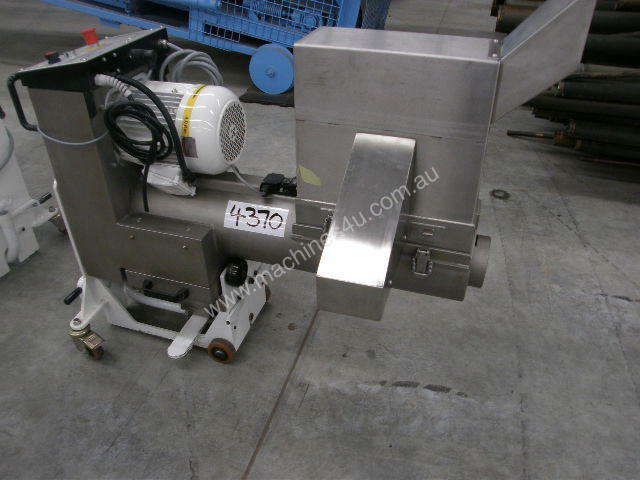 Previously used in Pharmaceutical application. 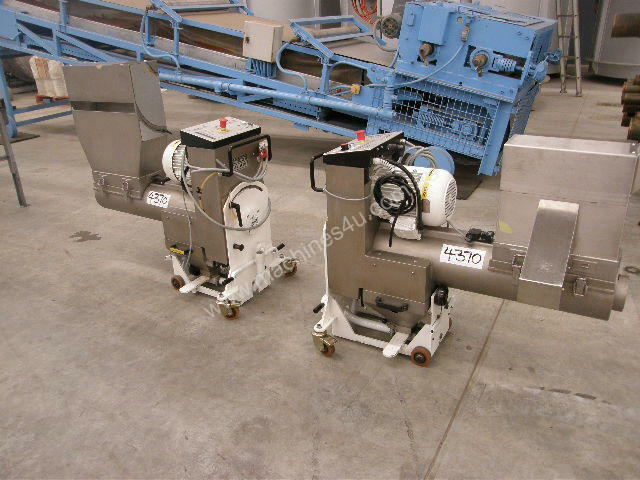 Avian Engineering G20-30 300mm L x 250mm W.
Rotary Sifter, 200mm Dia x 600mm L.
Proali Design 2200mm L x 300mm W.
Avian G35-40 400mm W x 300mm H.
Greer 1800mm L x 360mm W.
Powder Hopper Plastic Capacity 200Lt.